UChicago prides itself on intellectualism for its own sake, but in recent years the University has added more pragmatic offerings to supplement its theory-heavy academics. 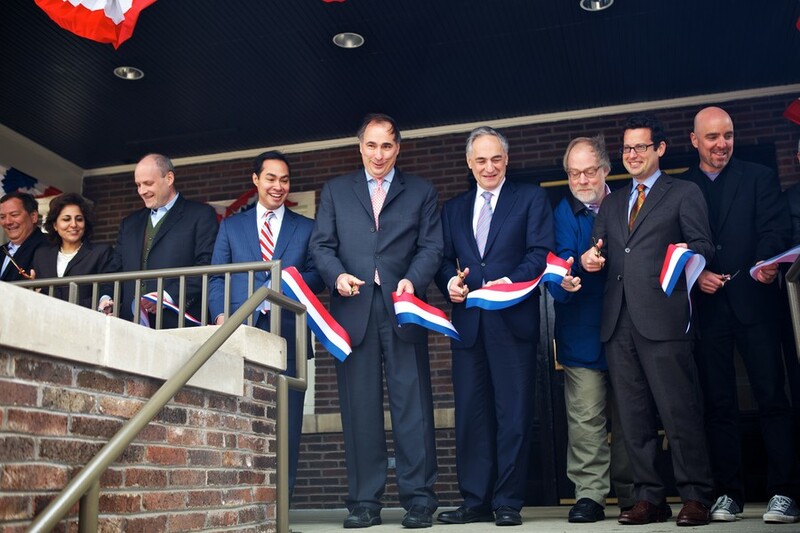 The Institute of Politics (IOP), officially opened in January by Barack Obama’s former top advisor David Axelrod (A.B. ’76), provides some of the most fertile ground for students to get real-world experience in political life. The IOP, located at 5707 South Woodlawn Avenue, aims to expand students’ knowledge of politics and allow students to gain hands-on experience in the field. The IOP has pursued this goal through three main programs: a speaker series, a fellows program, and internships. Its speaker series brings prominent politicians and influential figures to campus for a day or two, to give a talk on and sometimes meet with students about a particular issue. Past speakers have ranged from author Elie Wiesel to former House Speaker Newt Gingrich. The fellows program recruits a wide range of people involved in public service, journalism, and relevant fields to campus for an entire quarter. Fellows host weekly seminars on a particular issue, open to all students, for 10 weeks. Last year, fellows included former Mississippi Governor Haley Barbour, Jon Favreau, President Obama’s former chief speechwriter, and former Senator and presidential candidate Gary Hart. The Institute’s internship program gives students the opportunity to get involved in politics right away. In its first year, the IOP sponsored internships at the White House, the Southern Poverty Law Center, CNN, and the Republican Governor’s Association, among others. The IOP is not above reproach, however. Some claim that the programming to date has been much too focused on electoral politics rather than policy. Others feel that the Institute has become inaccessible, with certain students having much more access to the visitors than others. There have also been complaints that the IOP simply hosts too many events. The Institute may be addressing one of those criticisms, according to Reisberg. He said that with no major elections coming up soon, the IOP hopes to focus more on policy to start this year. The IOP will host events this quarter centered around the implementation of the Affordable Care Act and a “Democracy Week” to look at overarching issues affecting democracy, such as voter rights, redistricting, and potentially judicial independence. But Reisberg said that the Institute doesn’t plan on abandoning electoral politics entirely, with programming planned this year for the 2014 Illinois gubernatorial election and federal midterm elections. The IOP also sponsors the Political Union debate club and a magazine called The Gate. The Union provides a forum for students to engage in political debate, with each debate being focused on one broad question. The debate is not between Democrats and Republicans, but rather between groups centered on different ideologies—Progressives form a different group than the Democratic Left, for instance. The Gate, launching this year, will run political commentary and analysis by students. Those looking to get a taste of the IOP will not have to wait long; the IOP’s “capstone” event of Orientation Week will feature Senator Elizabeth Warren (D-MA) on Friday, and Senator John McCain (R-AZ) is tentatively scheduled to speak at the end of October.